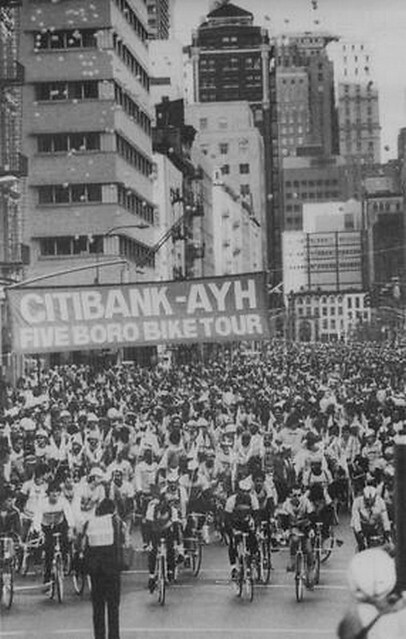 Christian sent us this photo from the Five Boro Bicycle Race back in 1981. 17,000 participants took place in the event that was sponsored by CitiBank and American Youth Hostels. Five years previously, in the inaugural race/ride, there were 200 cyclists.